Not all carpet cleaning agencies are the same. There are many different methods used to clean carpets. 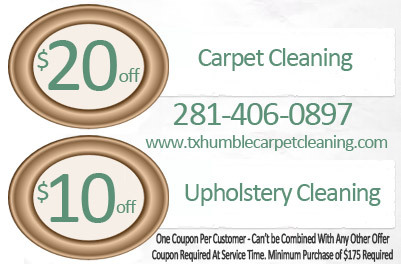 At Humble Carpet Cleaners, we use the steam cleaning method. This type of clean is also known as “hot water extraction”. We use powerful truck mounted steam cleaning equipment that dives below the surface of your carpets fibers to loosen and lift hidden dirt and grime. Because we use organic products only, our steam cleaning system is able to provide a faster drying time. It usually takes about 12 hours for carpets to dry using regular methods but with us, you will find your carpets have dried much faster. If you are known to have bad allergies, having your carpets steam cleaned can be especially beneficial. Not only are your carpets visibly cleaner, but can potentially last longer. Give us a call today.